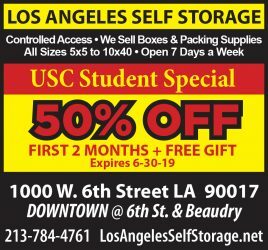 Given USC’s location in downtown Los Angeles, crime can seem almost inevitable, especially when there are two gangs operating within miles of campus. These groups are active and potentially dangerous, but their threat doesn’t extend to the USC campus, experts say. Instead, Jorja Leap, a gang researcher and UCLA professor, said the campus itself motivates, inspires and shows others that a higher quality of life exists. Leap has been working on a five-year study at Homeboy Industries, following 300 gang members as they go through the Homeboy/Homegirl program, which works to counsel young people and to redirect their lives. Leap said all the gang members she has worked with perceive USC as a symbol of opportunity, and most wouldn’t dare bring violence to the campus area. Dept. of Public Safety Assistant Chief John Thomas said the two gangs closest to campus are the Fruit Town Brims, and the Harpys. Thomas said the Fruit Town Brims are small in comparison to the Harpys, but their area is defined as south of Jefferson Boulevard and west of Vermont Avenue. Leap said these gang members recognize the benefits that USC offers to the community. 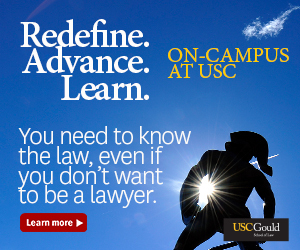 This rings true for Thomas, who grew up near USC, and ultimately was inspired to attend UCLA. 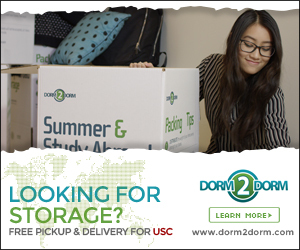 “If it wasn’t for USC, I would never have thought that a college education was a reality. It was the USC students, the people at Doheny, the programs I would go to, being on that campus, and all those things that made UCLA a reality,” Thomas said. Thomas said that gangs don’t often bother students who live in the area, and that the main effect the gang presence has on the community is that it compromises quality of life through intimidation. DPS, LAPD and other departments have been able to identify and closely monitor the majority of the gang members, Thomas said. DPS uses a system called CompStat that compiles all of the crimes that occur every week, according to Thomas. This is part of an accountability process where every week, DPS and other departments dissect the causes of crimes to put together strategies. Thomas said this helps DPS detect patterns of crime earlier, increasing the chances of preventing similar crimes from occurring. “We get a very intimate sense of what’s occurring, where it’s occurring, but usually when we start seeing these patterns, we’re able to jump on them real early to the point where most people don’t see it coming because we’re able to use strategies,” Thomas said. 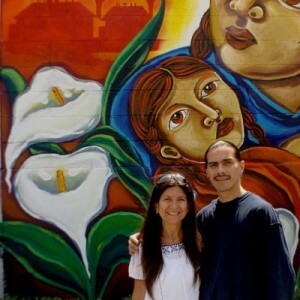 When gang members from the area are released from jail, LAPD officers and other officers often meet with the members to help ease them into a life without crime. Leap and Thomas said that for USC to keep crime rates low, the university needs to maintain community outreach programs as a way to show these at-risk children that a better life exists. Thomas can personally attest to the value of USC’s community outreach programs.